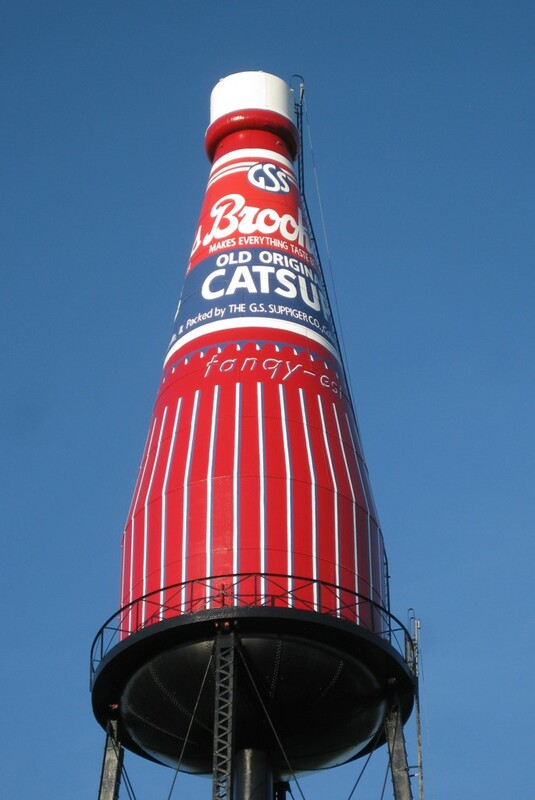 We're more enthralled by the World's Largest Bottle of Catsup, located in Collinsville, Illinois. 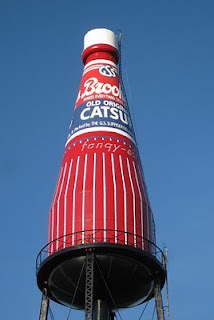 Built in 1949 by the bottlers of Brooks Rich & Tangy Ketchup, this bad boy could potentially hold 70,000 gallons of the red stuff. When the apocalypse commences and the global condiment shortages begin, I think you know where I'm heading.